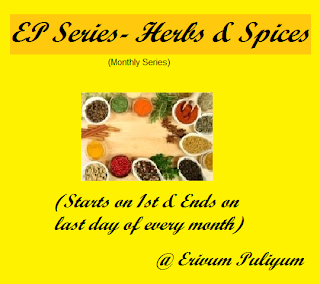 I would also like to thank Prathibha @ Cook -Ezee for successfully completing the last month's series 'Basil Or Cardamom",the round up of which is awaited.Thanx to all participants who actively took part in it and looking forward to see the same zeal in this coming months too !!! 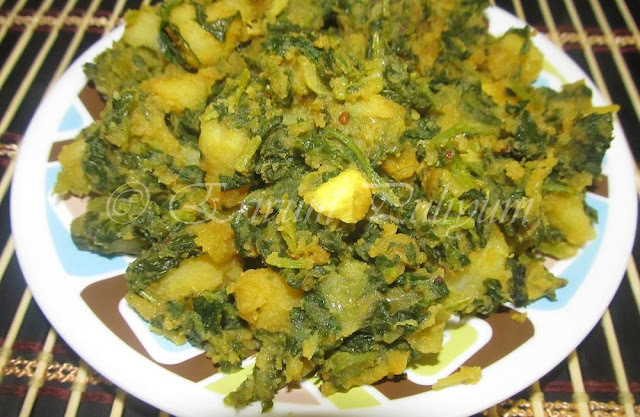 Kick starting the event,I would like to share a simple recipe that I often prepare using fenugreek leaves is the potato -fenugreek leaves masala.A perfect one for chapathis and delicious too.Hope u'll enjoy this recipe!! -Cut the root portion of the fenugreek bunch and then dip the whole bunch with stems in a large bowl of water.Wash it 4-5 times to remove any dirt or mud. -Pluck out the edible leaves,disacrd all yellow leaves and cut the stem into small bits till you reach the hard stem.Discard the hard stem.Keep aside. -Heat oil in a pan,pop the urad dal.Wait till its slightly browned.Then add & saute onions till translucent.Then add sliced garlic cloves,saute. -Add the spice powders and saute. 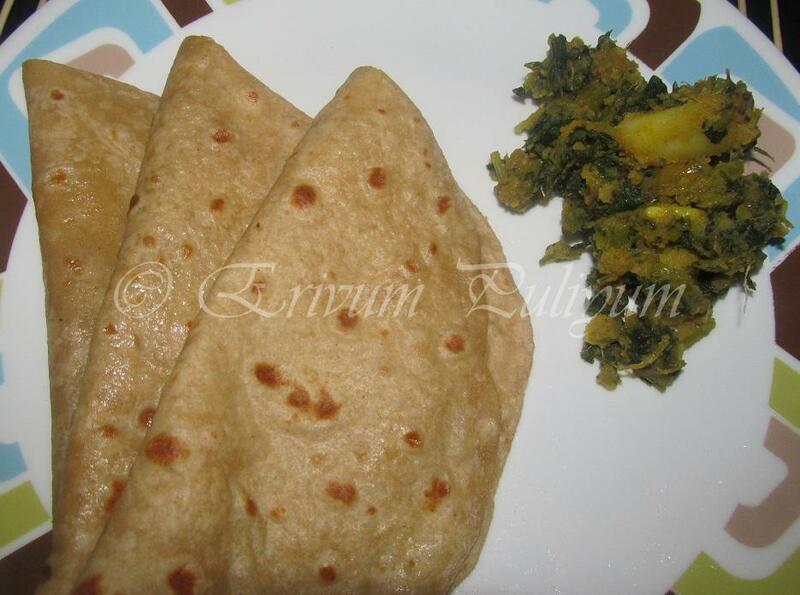 -Add the fenugreek leaves,toss it well.Cover and cook for 7 minutes. -Uncover the lid and add the cubed potatoes to the wilted leaves.Add salt now. -Keep stirring until the masala is coated and the leaves are cooked well,and the water content dries up. -Toss it well adjust salt and serve it with chapathis!! * A big bunch yields only very less masala when cooked.So,buy your leaves bunch accordingly. 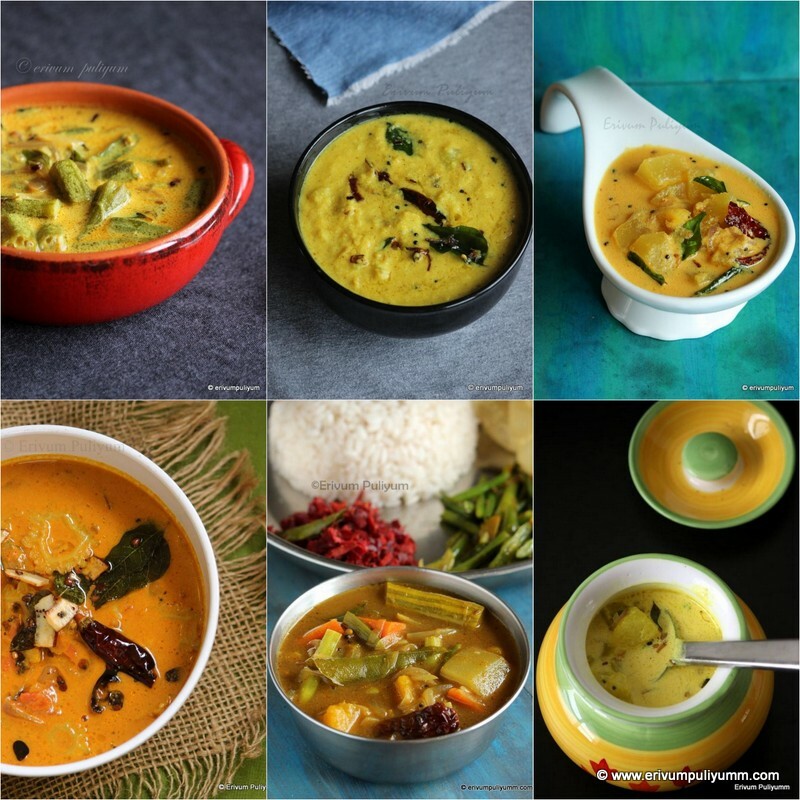 So,Looking forward for more yummy & flavorful dishes,you can also link all your old or new recipes with fenugreek or green chilies as main ingredients of the recipe !! 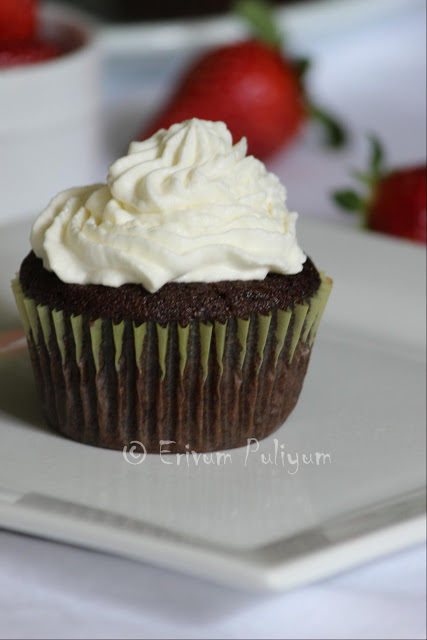 Delicious dear. Will send mine. will send in the entries to Kaveri, the potato n fenugreek masala luks yummy. 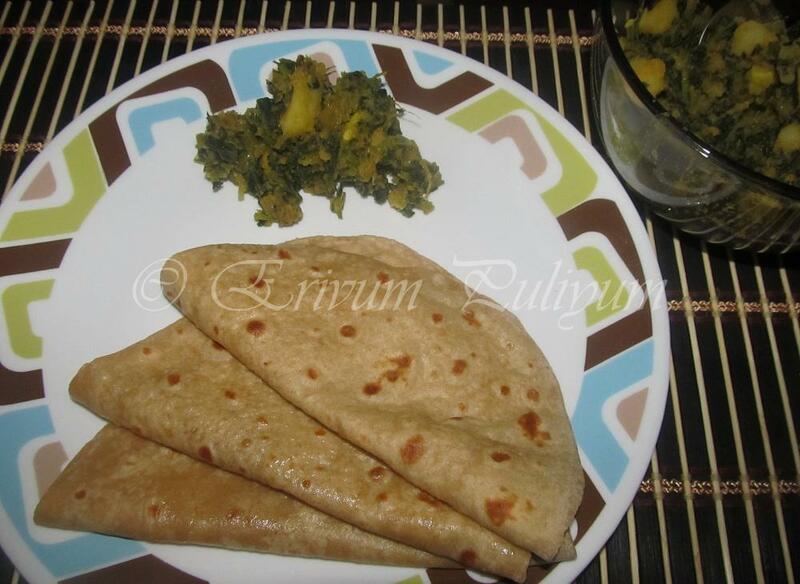 Delicious Methi leaves curry for chapathi. Nice event Julie. simple ,healthy and flavourful curry..
Hi Julie, wow! another event! Loved the potato fenugreek leaves subzi. Wish you all the best. i love this recipe.. very delicious..
Great event,aloo methi masala looks so yummy. Love the concept of the series and the combination of herbs. Will definitely participate! Very healthy event :) Your curry looks yummy and healthy.. This healthy combo looks so good! 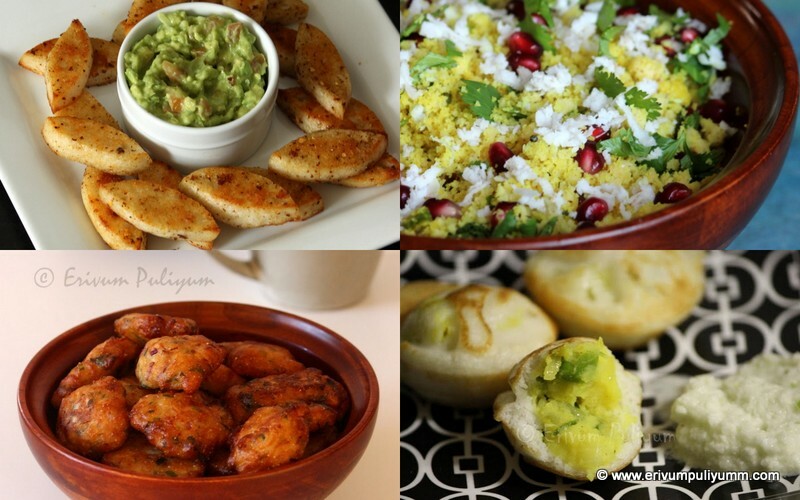 Healthy and super tempting masala. I love aloo methi and hope i'll be able to link in for the event. we love aloo methi sabji..now days my fridge is always filled with fresh methi..lovely event.